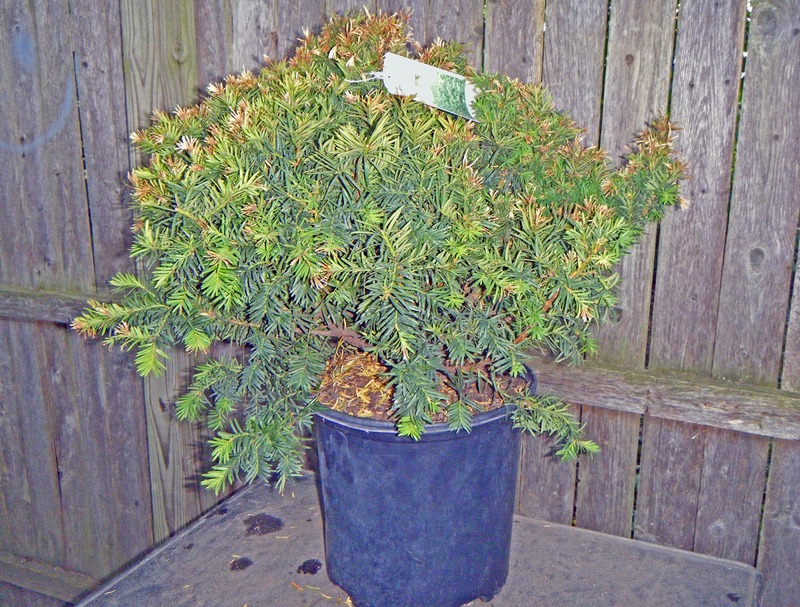 Bonsai in Hoosierland: Time to Get Out and Shop! Finding good bonsai material in a general-purpose nursery or garden center is not as easy as it may sound. 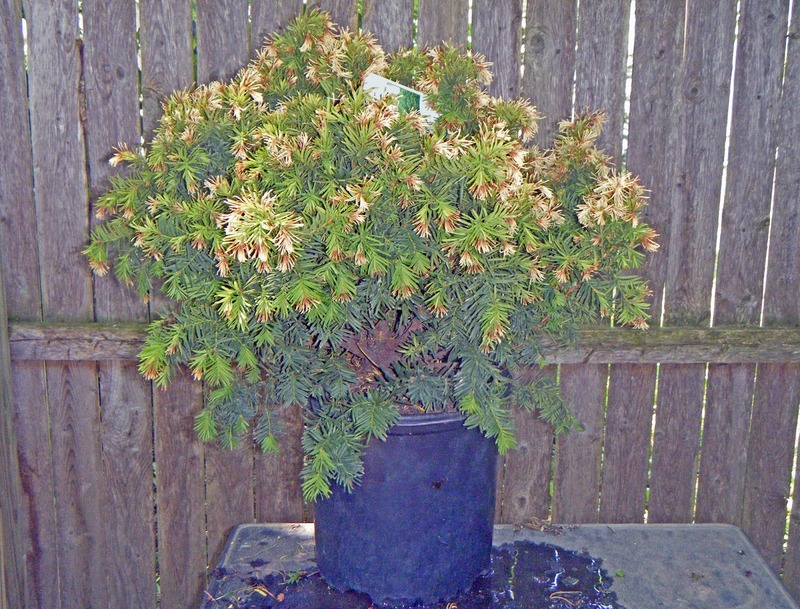 The wholesale growers who supply such centers have landscaping in mind, not bonsai. That means they use techniques that encourage rapid growth, showy foliage, and the largest silhouettes they can get. Compactness, low branching, and interesting movement simply aren't among their priorities! Three years ago I put together a "shopping checklist" for a club shopping trip to a general-purpose garden center. That checklist is published now on this blog as a stand-alone page, entitled "Shopping Checklist." (Original name, huh?) I invite you to check it out; click here to jump directly to it. 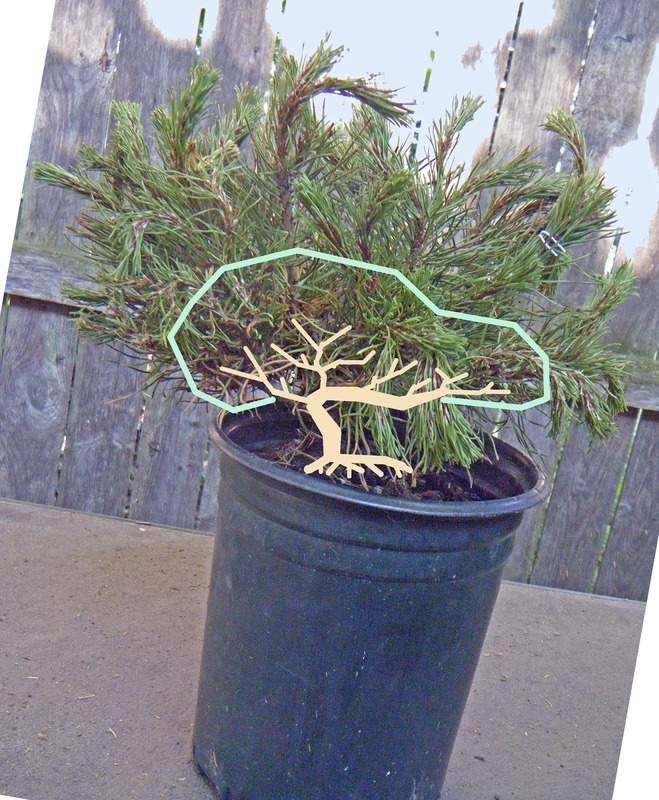 In my page on yews (here,) I mentioned that I want to help develop a "yew style," based on the natural look of ancient yews. 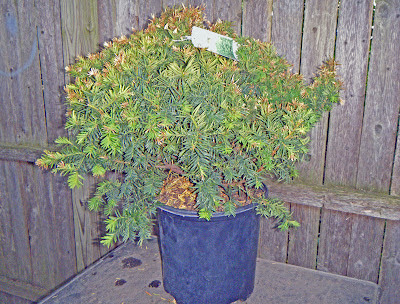 I chose this yew, in large part, because it looks as if its basic trunk structure will lend itself to such an effort. This tree's foliage is already bouncing back from being too dry. It will be repotted next spring, and I'll decide then on a provisional front and a planting angle. Cleaned up a bit, and re-hydrated. No front chosen yet. 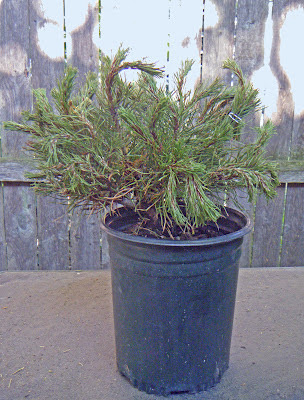 The mugo pine I intend to sell, once I make sure it will survive. I'm not interested in keeping it myself at this point; but this is a tree that deserves a chance to be a bonsai! And one of my bonsai friends is looking for a nice mugo. 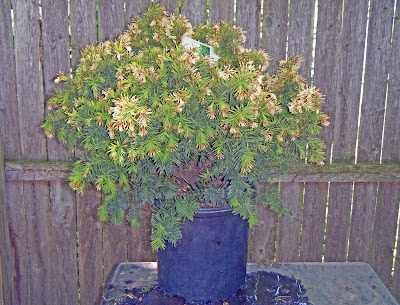 If your climate is similar to mine, your local garden centers may well be offering bargains too. So get a copy of my checklist if you like, and see what you can find! Mugo pine, cleaned up and watered. Tilted 15°, it should make a very decent semi-cascade.